We are highlighting Cross My Heart today. 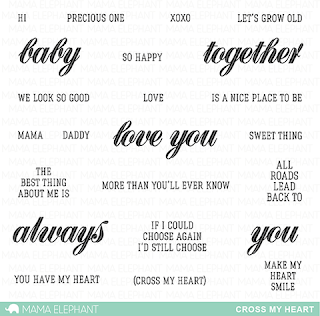 Who doesn't love a mushy sentiment set? Ashley's mini card is the perfect valentine! The die cut cat is the perfect touch to this sweet sentiment. 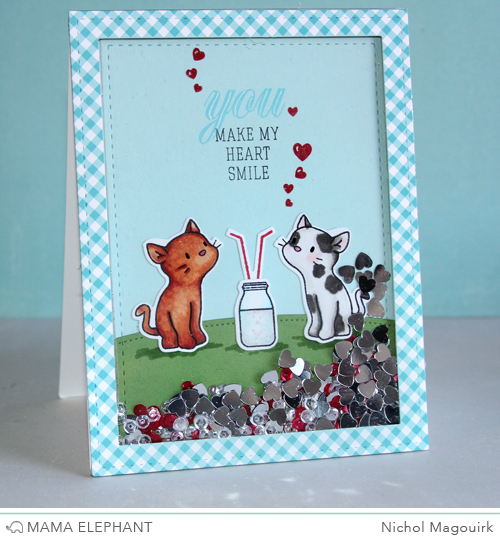 Nichol created a fun love-themed shaker card, combining the Cross My Heart sentiments with the sweet Purr-fect Pair stamps and creative cuts dies. Elena used the back of a stamp block to quickly watercolor a focal area, perfect for adding a sentiment that stands on its own in the middle of a card. We love the addition of the bright aqua balloon too! Laura combined the Alpine Carolers to create this heartfelt card. She also used one of the landscape trio dies as a template to draw her snowy hill. My favorite!!!! Love the fonts and sentiments. Yay! The sentiments in this set are awesome. 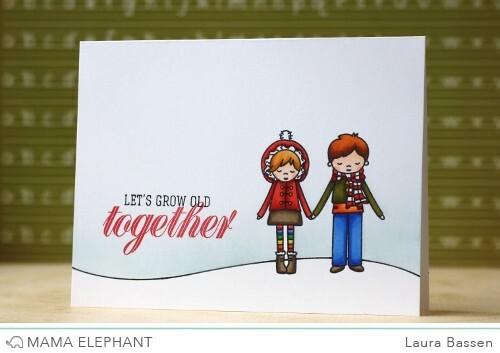 Great sentiment stamp set and cute cards created with them. These are wonderful cards and I love this new set. Oh, these are sooo cute!!! Love! Fantastic Projects!! I'm loving these stamp sets! Just awesome! Love when the sentiments can be put into the combination that fits your card. Those cards are just the sweetest and the sentiments are really beautiful! Beautiful work DT! !! Love that font! ! Amazing cards! I love the shaker card, sooo cute! !